An Italian woman, her two daughters, and her three grandchildren have always had trouble feeling pain. They can’t sense temperature. They break bones without noticing. Now, a team of scientists in the United Kingdom think they’ve figured out why. Pain—whether it’s the sharp agony of a stubbed toe or the warning heat that comes before a burn—is an everyday occurrence for most people, but not for this unusual Italian family. By studying both the family members’ genetics and mice, researchers think they’ve located the gene responsible for their insensitivity. One day, this knowledge could help others treat chronic pain. “Genetic analysis of a human family with Marsili syndrome, a rare and perhaps unique inherited pain insensitive phenotype, and mouse modeling have shown ZFHX2 as a critical gene for normal pain perception,” the authors write in the study published recently in the journal Brain. The syndrome’s name, Marsili, comes from this very family. The family members agreed to go through rigorous examination for the new research—tests that sound like mild torture to a normal pain-feeler. They were poked at tender points, touched surfaces ranging from 14 degrees to 122 degrees Fahrenheit, and dunked their hands in ice water. Finally, the researchers sequenced part of the family’s genomes, revealing a new mutation in the “ZFHX2″ gene. This gene alters how nociceptors, the pain-sensing part of the nerve cells that turn sensory inputs into stimuli for the brain, translate DNA code into protein-making instructions. Previous research has created mice without that ZFHX2 gene, and those mice turned out to be pretty weird: They were more hyperactive and showed signs of mouse depression. In this new study, the ZFHX2-altered mice had difficulty sensing hot and cold, offering further evidence that a mutation in the gene is what causes the family’s lack of pain. It’s important to note that the mutant mice didn’t show exactly the same symptoms as the humans did—and the genetics of pain are more complex than single genes. 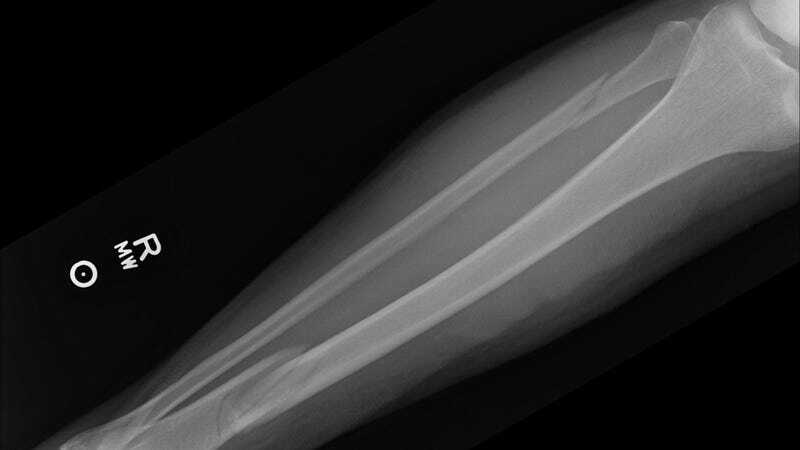 Other people who have fractured bones without feeling pain have had mutations on another gene, called SCN11A, for example. Much about pain is still poorly understood, according to a Nature editorial. But understanding mutations such as these may one day lead to better pain treatment ideas. Further work is needed to determine which genes might be the best targets for painkilling therapies, the authors write. As for the Italian family, New Scientist reports that they’d rather not sense pain normally. I mean, me too.